Alexander Downing (Wayne Morris), more commonly known as “Lucky,” is a bit down on his luck. He’s trapped himself in an office to hide from his debts. Lucky’s friend and secretary Clarence (Willie Best) places an ad for him in the paper, offering his work services to anyone who comes across the ad in hopes that he’ll make up the money he needs. It doesn’t take long for someone to bite. Clarence answers the phone one day and finds a job offer at the other end. He and Lucky meet the caller, who ends up being a wealthy old woman. She is looking for someone to pretend to be engaged to her niece, and is willing to pay $1,000 for just a month of keeping up the charade. Thinking he’s come across easy money, Lucky accepts the offer and heads off to meet his faux bride-to-be. He and Clarence end up in a creepy old house full of odd characters, including the head-shrinking Uncle Ames (Charles Halton). 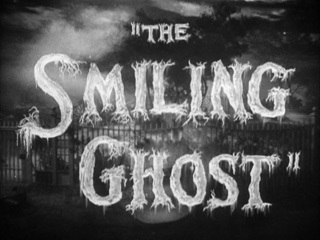 Soon enough, the “smiling ghost” who targets Elinor’s men comes after Lucky, and everyone in the eerie old Fairchild house (along with sneaky reporter Lil Barstow, portrayed by Brenda Marshall) attempts to uncover the mystery. 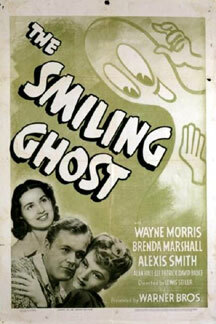 Lewis Seiler (Pittsburgh, Crime School) directs The Smiling Ghost, a witty and silly 1941 Warner Bros. mystery/comedy “B” feature. The film is based on a story by Stuart Palmer (most well-known for the Bulldog Drummond films), who also co-wrote the screenplay with Kenneth Gamet (Nancy Drew… Reporter). The premise of this film has the potential for serious mystery and suspense, but instead it is treated with nutty humor in this film, which works just fine in terms of audience enjoyment. 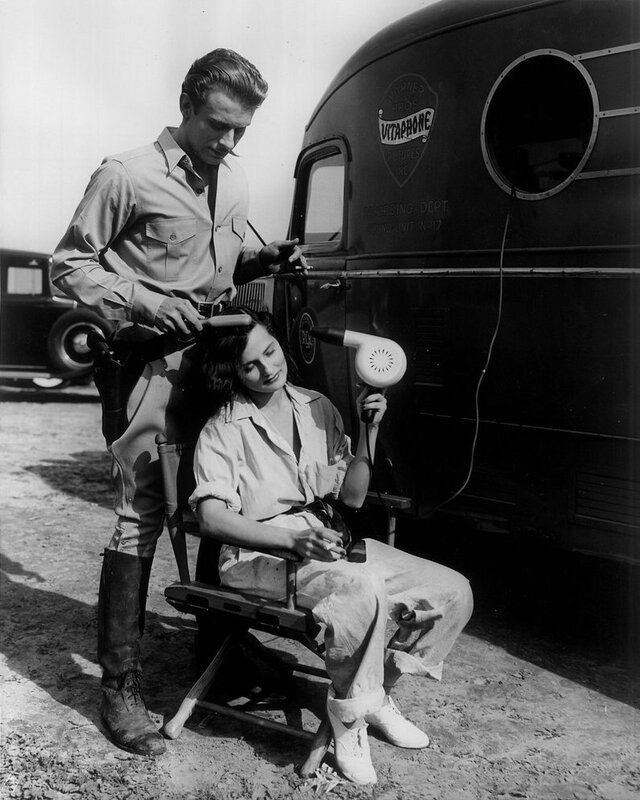 The film frequently sets up moments of brief suspense followed by completely normal outcomes, which is a trademark of this genre. The audience gets a quick thrill followed by laugh. The facial expressions of the “smiling ghost,” the Scooby Doo-esque mix of silliness along with “catch the bad guy” pursuites (including an unmasking! ), and the over-the-top comedy at play makes for a very fun watch that will have fans of the comedic mystery genre cracking up. There’s a mix of physical comedy, funny dialogue and hilariously exaggerated performances at play. There’s also a bit of an Elinor/Lucky/Lil Barstow love triangle at play. Both Alexis Smith and Brenda Marshall are great in their respective roles as Elinor and Lil. In terms of the comedic aspects of the film, it’s Willie Best who truly shines here, with his fear and suspicion growing to epic proportions as the film progresses – but Smith and Marshall do come quite close to stealing the show. I love it when the ending is unexpected. Thanks for the review – will have to check it out!